The three day thought provoking Global Spa & Wellness Summit (GSWS) 2013 in New Delhi explored new horizons that will shape and transform the spa and wellness industry around the world. If I had to pinpoint a defining moment at the GSWS 2013 in New Delhi, it would be Dalai Lama’s incredibly thought provoking speech on “What is Wellness?” and I wouldn’t be alone. The thunderous welcome he received on his entry was exceeded only by the standing ovation on his conclusion. Speaking in his trademark humorous fashion, he touched on several topics such as mindfulness, compassion and secular ethics in a talk covering nearly 2 hours. The stage for the seventh Global Spa and Wellness Summit (GSWS) 2013 at beroiin New Delhi, India was set. 377 Industry leaders, high profile speakers, visionaries and thought gurus from 42 countries around the world were congregated at the prestigious annual gathering of the spa and wellness industry. The strictly ‘by invitation only event’ has the participation of high profile delegates from diverse sectors, such as hospitality, tourism, finance, medical, real estate, manufacturing, technology, consulting and product industries, all joined by a common interest in driving economic development and understanding of the worldwide spa and wellness industries. The theme of GSWS 2013 was ‘A Defining Moment’ and Day 1 focussed on the theme of ‘Outward’ with the Global Wellness Tourism Congress (GWTC); Day 2 on ‘Inward’ and the Inspirational Business of Wellness, while Day 3 theme was ‘Onward’ with the focus being The Big Business of Wellness. 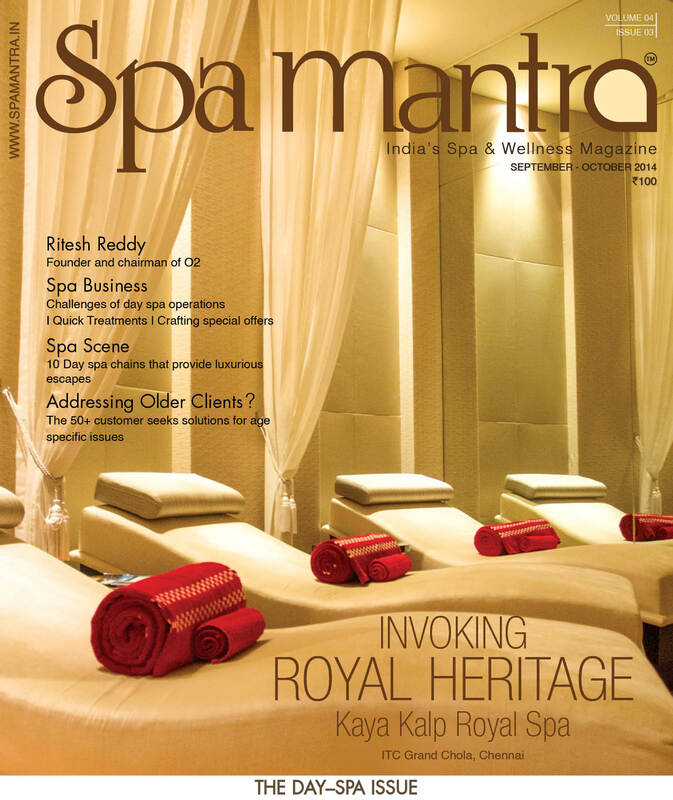 Spa Mantra was present at the three day Summit, and brings you some highlights. Amitabh Kant, the creator of the hugely successful ‘Incredible India’campaign andCEO & MD, Delhi Mumbai Industrial Corridor Development Corporation; most known as kicked off the Summit with his presentation ‘The Birth of Wellness Tourism: An Incredible Story’. Kant mentioned, “Tourism is undergoing a revolutionary change, and the source of tourism is changing. The source today is BRIC countries like India and China. Their steady growth & development and the rise of the Indian urban middle class contrasts with the rapidly aging population of Europe and America. Kant mentioned that the biggest change was the shift to experiential tourism, to self fulfillment and the demise of mass tourism. This has led to the emergence of the ‘alert independent traveller’ – the educated, well-heeled, conscientious traveller who is looking for new and unique experiences which enhance and develop well-being, which is where wellness tourism plays a key role.” He mentioned that the huge success of Kerala as a destination for Ayurveda was a case in point. Global Wellness Tourism Congress bought together for the first time world-renowned tourism experts congregated to discuss, define, and shape, the best strategies to grow this packed-with-potential tourism sector. Ministries of tourism and ambassadors gathered to share their current strategies and future plans to attract more business and leisure wellness travelers. A path-breaking SRI Research Study ‘The Global Wellness Tourism Economy’ was presented by Ophelia Yeung, senior consultant SRI International. Led by Ophelia Yeung, and Katherine Johnston, senior economist of SRI International, the landmark study was prepared for GSWS to explore wellness tourism and understand its broad global impact. It brought to light for the first time, that wellness tourism promises to have a dramatic impact on our industry and how people travel.. The wellness tourism economy is a US$438.6 billion global market. Wellness tourism accounts for about 14% (US$438.6 billion) of all domestic and international tourism expenditures. Domestic wellness tourism is much larger than international, representing 84% of wellness tourism trips and 68% of expenditures. Wellness tourism is projected to grow by more than 9% per year through 2017, nearly 50% faster than overall global tourism. Wellness tourism generates 11.7 million direct jobs, delivering US$1.3 trillion of global economic impact (1.8% of global GDP in 2012). Wellness tourists are “high-yield” tourists, spending 130% more than the average tourist. More than one half of the projected growth in wellness tourism trips through 2017 will take place in Asia, Latin America and Middle East/North Africa. 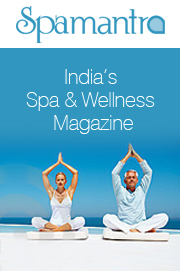 India will have the highest increase in wellness tourism and is expected to grow at a rate of 20% a year through 2017. Wellness tourism has much in common with other niche tourism segments, such as adventure, culinary and eco-tourism. A brilliant presentation on ‘Should wellness tourism embrace wellness of the planet’ was delivered by Costas Christ, Editor/Columnist, National Geographic Traveller US, and Sustainability Ambassador, Six Senses Hotels Resorts Spas, US. Making a passionate case for safeguarding the planet, he said that sustainable tourism matters, and that the three key pillars of sustainable tourism would help preserve cultural heritage and natural beauty – environmentally friendly practices; support for cultural and natural heritage, and direct tangible contribution to social and economic wellbeing of the local people. The Summit’s second day focused on looking inward and preceeded with topics that explored the ancient, modern and emotional business of wellness. India’s hospitality titans related their personal and entrepreneurial journeys, while key notes speakers and panellists featured world-renowned Indian and South Asian spiritual and wellness leaders. Every year the Summit gives students from different universities an opportunity to showcase no employment verification payday loan a design and concept for a spa of the future that encompasses authentic Indian culture and could be rolled out globally. The major criteria were that the strategy should be commercially viable, credible and proven. The 5th Annual Student Challenge Competition had a five member judging panel and was moderated by Susan Harmsworth, Founder & CEO, eSPA International, U.K. and Mary Tabacchi, PhD, Professor, Cornell University, U.S. The institutes that participated in the challenge were the Indian School of Business, Hyderabad; Institute of Hotel Management, Aurangabad (IHM-A), Maharashtra and University of Delhi, New Delhi. The Whole World Water Initiative is a groundbreaking project driven by Sonu Shivdasani, CEO, Soneva Resorts, Residences & Spas, Thailand. The concept is designed to unite the hospitality and tourism industry on a non-competitive platform to eradicate the issue of plastic, toxic bottled water and have access to it through clean and safer means. Ever since the project was rolled out there have been many hospitality brands/ hoteliers that have adopted this concept. The process of distilling and availing of clean water can be done within hotel/ property’s own premises at minimal cost. “I believe that ‘trust’ is the magic key to happy days and happy lives; ‘distrust’ always brings fear, unhappiness.” H.H. 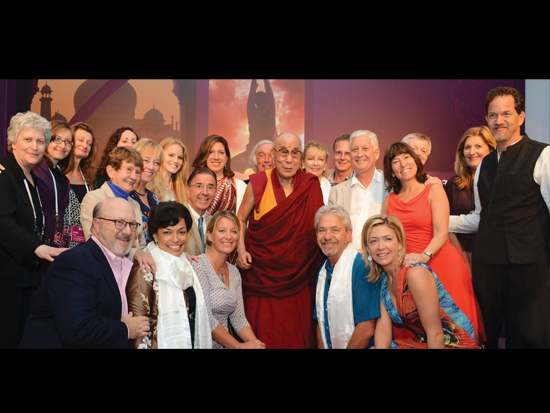 The Dalai Lama’s opening words set the tone to his Keynote Address at GSWS. In his talk based on ‘What is Wellness’, The Dalai Lama emphasized that ‘wellness’ was very important. “Just as physical wellbeing is important to a happy life, wellness must include a happy mind, and ultimately, the mental attitude must become more compassionate.” He felt that the ultimate source of happy life is trust, and friendship based on open warm-heartedness. “I think that in real happiness, warm-heartedness is more important than brilliance.” He felt that sometimes a brilliant mind causes more anxiety, more worry. Too much vision and ambition causes more stress, more worry, and more competitiveness. ” So trust each other my brothers and sisters” he exhorted. “The ultimate source of happiness is within us.” Science says that a happy and peaceful mind is the key to a happy body. “Just as physical hygiene is important for a healthy body, hygiene of emotion is important for healthy mind, to keep it calm and peaceful.” He mentioned that the last century was very violent with wars and strife around the world, and he felt that this 21st century should be of peace and non-violence. That we as a people, have an unique opportunity to build a healthier, more peaceful century. The Dalai Lama shared with the delegates how to promote warm-heartedness or compassion in order to create a happy humanity – a happy world. “Man is a social animal. No matter how successful an individual is, his happy future depends on the rest of the society. Others are essentially the source of our happiness. So, we must care for and cooperate with each other.” He highlighted that genuine cooperation comes with trust, and a concern for their sense of wellbeing. “These are ‘secular ethics’ – not based on religion, which can be universal, while no religion can be universal.” According to him, ‘secular’ does not mean disrespect for religion. It is in fact respect for all religions and in the Indian understanding, respect for even the non-believer! He felt that existing education focused only on materialism, not on mental peace. This should change, and must include ‘secular ethics’ so that the coming generations will be more peaceful. “Happy humanity is not God’s gift but comes from one’s own effort! “ The Dalai Lama stressed that societies are made of individuals, and change in individuals will change the society and result in a happier humanity. Focusing on looking onward, the Summit delved into matters and aspects that contribute to making the wellness business ‘Big’. The Summit featured six industry forums that widden the scope for interaction and participation. 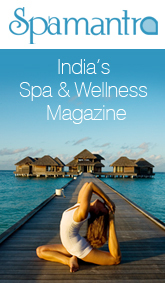 · Global Destination Spas – Destination spas often lead innovation on the wellness frontier. This was the first global forum for the evolving destination spa segment which was an exciting, much-needed event. The session was facilitated by Roberto Arjona, Chief executive Officer, Rancho La Puerta, U.S.
· Global Hydro – Thermal – Facilitated by Don Genders, Managing director, design for Leisure, U.S. & Rolf Longrée, Managing director, Lux elements gmbH & Co. KG, Germany, the session was pegged to promote a new openness within the competitive hydro-thermal industry that is most perceived lacking. Global Hot Springs – Moderated by Charles Davidson, Founder & Owner, Director, and co-owner Peninsula Hot Springs, Australia, the session was focused on hot springs offer an attractive, affordable “long day” vacation model, and the positive medical evidence for hot/mineral bathing is getting greater exposure. Global Spa Retail – The peg for this discussion was the overwhelming majority of spas that now have a retail element, but retail makes up only about 10% of total spa revenues, according to an ISPA study of U.S. spas. Jeff Matthews, president, Steiner Spa Consulting (Hong Kong) moderated this discussion. Among the six concurrent forums were other general sessions. Susan Harmsworth, Founder & CEO, eSPA International, U.K. alongwith panelists conducted a session that collaborated with serious investors in the hospitality and spa industries. Andrew Gibson, Group Director Of Spa, Mandarin Oriental Hotel Group, Hong Kong, moderated a session that discussed about charting innovations and new perceptions for industry stakeholders. Bonnie St. John, President, Blue Circle Leadership, U.S who took charge as a moderator for the entire Summit’s proceedings summed up the event on the last day. While Sallie Fraenkel, executive Vice President, global Spa and Wellness Summit, U.S. thanked the sponsors, especially it’s Titanium ones – Incredible India and Vana Retreats. As is customary, annual Summit ended with the announcement of the destination of the 2014 event.GSWS is already geared up for its eight Summit next year andthe ‘red city’ of Marrakech, Morocco will play host. For more information, visit www.gsws.org. Oct 31, 2013 11:26 am 0 Comments.